Which video camera should you buy? It depends on your budget and the kind of film you’ll be making. A DSLR or mirrorless camera is the most affordable way to get into creative filmmaking. For news or events, a prosumer or pro camcorder may be more manageable. On a bigger budget, you could get a cinema camera. For work, travel, school or family use, choose an easy-to-use camera: a basic camcorder, iPhone, iPad or compact still camera. Use an action camera or Osmo Pocket camera/stabiliser for outdoor activities and sports. On a very tight budget, choose a basic camcorder or a used DSLR/mirrorless camera. You can choose between four main types of camera for serious low-budget filmmaking. Each type has its pros and cons: there’s more about the differences between them here. Click on the headings for more details, and recommended cameras, in each category. Interchangeable lens cameras like the Panasonic G7 and the Canon 80D are mainly designed for serious still photography. But they are the most affordable way to get into creative low-budget filmmaking. They have big sensors and lenses, which makes it easy to shoot ‘cinematic’ shallow focus shots. Downsides? You may need accessories to get the best out of them, they’re slower to use than dedicated video cameras, and audio recording can be tricky. However, recent mirrorless cameras like the Panasonic GH5 and the G85/G80 have image stabilisation and electronic viewfinders which make video shooting easier. Large-body camcorders such as the Canon XA30 have built-in zoom lenses and headphone sockets. They’re faster and easier to use than DSLRs and mirrorless cameras, so they’re good for news and events. But they have fairly small sensors. That means they aren’t as good in low light, and you can’t get as creative with shallow focus. Newer cameras like the Sony AX700 and Canon GX10 have larger one-inch sensors and can shoot ultra high definition 4K video. 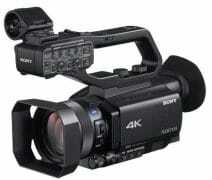 Cameras like the Sony PWX90 and Canon XF400 have good manual controls, and professional audio inputs and outputs. They can record in pro video formats which are easier to adjust and correct than most video filmed with DSLRs and camcorders. They’re a good choice for news, events and corporate video. 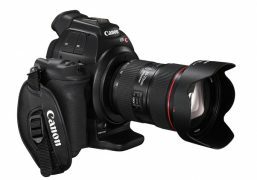 High-quality cameras like the Canon C100 take interchangeable lenses. Their large sensors let you get creative shallow focus effects, like DSLR/mirrorless cameras. But because they’re designed for video, not stills, they’re easier to film with. Most of them have better image quality, especially in low light. They can record in pro video formats that are easy to adjust and correct. Most of them can’t shoot stills. The new BlackMagic Pocket Cinema Camera 4K is the most affordable option for shooting high quality 4K RAW and ProRes files. These are the cameras to consider if you want something straightforward to use at work, in school, at home or for travel. 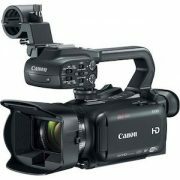 Small camcorders are some of the most affordable and user-friendly options for shooting videos. They’re useful for beginners, schools and families, though image quality won’t be as good as SLRs (or even some phones). Small ‘point-and-shoot’ still cameras have built-in zoom lenses. Most can shoot Full HD video, and some can record Ultra HD (4k). They’re convenient for travel and families. Video quality isn’t usually as good as DSLRs or mirrorless cameras, though top compacts like the Sony RX100 come close. You can shoot and edit on iPads and iPhones. Smartphones are discreet and portable and some of them can shoot great video in the right conditions. They’re not just for families and schools: researchers, journalists and business are using them more and more. These little cameras are tough, but you wouldn’t want to use one as your main camera. You can mount them on bikes, helmets, cars, your body, or even animals. Most of them don’t have screens. The more expensive ones let you monitor the image with a wireless monitor or an iPhone or Android app. You could also consider the new Osmo Pocket (below). This new compact, convenient combined camera and stabiliser is good for shooting action and events and for flowing, creative camera moves. It can shoot 4K at up to 60fps and Full HD at 120fps. It’s worth considering as an alternative to a basic camcorder, an action camera, or a phone/stabiliser combo. Is the camera comfortable to hold? Are the controls easy to use? Can you change the important settings with buttons and switches, or do you have to use menus? If there’s a touchscreen, does it work well? Does the camera have an accessory shoe so you can fit a microphone or light? Can you set exposure, white balance and sound levels yourself, or are they all automatic? These controls might not matter to you now, but you may need them if you get serious about your filmmaking. How far does the camera zoom out (wide angle) and zoom in (telephoto)? The wide-angle setting is probably more important as it lets you get close and makes handholding easier. The best way to compare this is find out what the 35mm equivalent is: under 30mm is good, 25mm or less is great. It’s the optical zoom range you should ask about – digital zoom is irrelevant (see bottom). If the zoom range isn’t very wide, does the manufacturer make wide-angle or telephoto adaptors to fit to the front of the lens? How close can the camera focus? What’s the widest aperture? (A low number, like f/2 or f/1.7, lets more light in so you can use the camera in dark conditions or get shallow focus effects). Is the built-in microphone good? Is there a headphone socket so you can listen to the sound while you film? Can you plug in an separate microphone? (If you want to be able to use pro microphones, you need a camera with three-pin XLR inputs). Image stabilisation can make pictures less shaky. It’s not essential if you’re going to use a tripod or a good camera support, but it’s very useful for shooting handheld. The most effective stabilisation, featured in some new cameras like the Panasonic GH5, combines lens-based optical stabilisation and sensor-based in body image stabilisation (IBIS). Larger is usually better. The bigger sensors in HDSLRs, mirrorless cameras and large sensor video cameras are are usually better in low light, and let you get shallow focus effects. They also let you use smaller apertures without diffraction softening your image. But for news and events shooters, the greater depth of field you get from a small-sensor camera can be useful. Does the camera record in a format that your editing program can handle? Is the format easy to manage? Can the camera record broadcast quality footage? Can the camera record in HD (720p), Full HD (1080p), Ultra HD (4K), slow motion? Which do you need? You don’t need 4K if you’re just shooting for the web. Special effects. If you want them, add them when you edit the film. Digital zoom. ‘200x digital zoom’ sounds great, but it’s just a way of electronically blowing up the middle of the image. It makes the picture quality worse, so you shouldn’t use it. Only the optical zoom counts. Megapixels. This tells you how many million light-capturing pixels there are in the sensor. More megapixels are supposed to be better for big prints, but they don’t make video any better. (Full HD video is only 2 megapixels and even Ultra HD 4K is only 8MP). More megapixels on a small sensor can actually mean the camera is worse in low light.